Dear Lough Derg friends, have you noticed how Mothers Day always falls on the fourth Sunday of Lent? In fact its roots are entangled with this time in the Christian calendar. In medieval Britain the Fourth Sunday of Lent was observed as a pilgrimage day to the cathedral as the ‘Mother Church’ of the diocese. This led to a tradition of servants being given the day’s leave to return home to visit their mothers, and from this arose our Mothers Day. 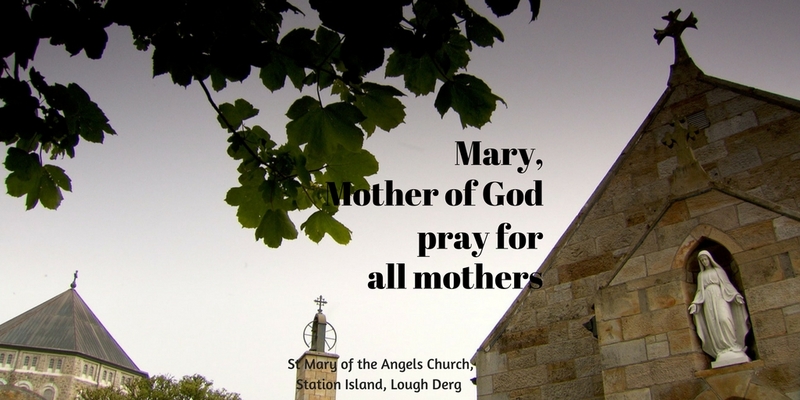 Mothers are important in the prayer of Lough Derg. Surely it must be a rare thing that a pilgrim who comes here would miss offering prayer for his or her mother, living or deceased. Since ‘gratefulness is the heart of prayer’, mothers must feature notably as a theme in our thanksgiving. We pray, too, for our mothers n their times of need, whatever those needs maybe as life brings its changes. And since it is a rare mother-child relationship that is completely free of pain, we may find ourselves needing to pray for healing for the hurt of disappointments that may have disturbed this most significant relationship. In a great many of the prayer intentions that come to us both during and outside of the pilgrimage season, I hear the voices of mothers: for the health and well-being of their children, for the safe delivery of a child that is expected, for good outcomes in a myriad of life situations, for peace and harmony in their children’s marriage relationships, for freedom from addictive and compulsive patters of behaviours that trouble their children’s lives, in hope that their teenage or adult children may come to a deep relationship with God, and – of course – for grandchildren in their turn. So, dear friends, this Mothers Day let us join in spirit with all those generations of pilgrims who on Lough Derg have offered praise and prayer for the mother through whom they received from God the gift of life, physically and spiritually. And let us accompany with our own humble prayers all those mothers who trust that the spiritual community associated with Lough Derg will lend its voice in support of their own heartfelt intercessions. Mary, Mother of God, pray for all mothers.